You must be able to get in and out of a car, walk up to 800 m and up and downstairs. 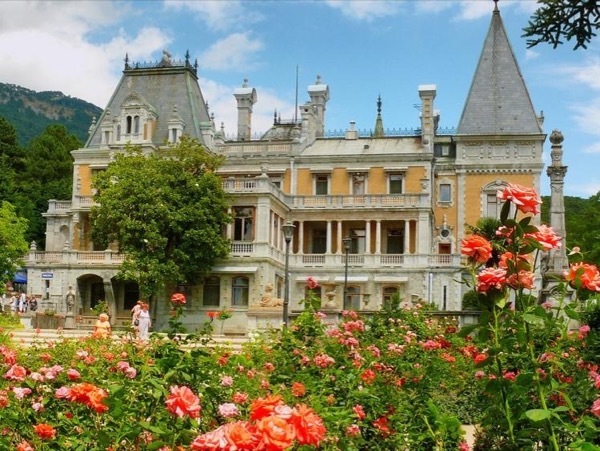 1)Massandra (Alexander III) Palace - the beautiful tiny palace located in a pine-tree forest above Yalta built for the Russian Emperor Alexander III in Louis XIII style in the end of XIX century. 2)Alexander Nevsky Cathedral - the central cathedral of Greater Yalta, built in Byzantine style in the end XIX century. 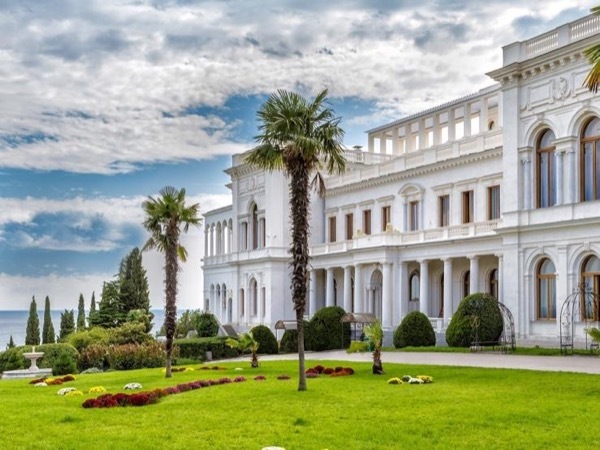 3)The Livadia Palace - the summer residence of Russians Tsars. The place of Yalta (the Crimean) Conference of the Big Three: F. D.
Roosevelt, W. Churchill, J. Stalin, held here in February 1945. 4)The Swallow's Nest - a picturesque castle in Gothic style constructed on the top of the rock above the sea, the symbol of Yalta as well as the whole Southern Coast of the Crimea. 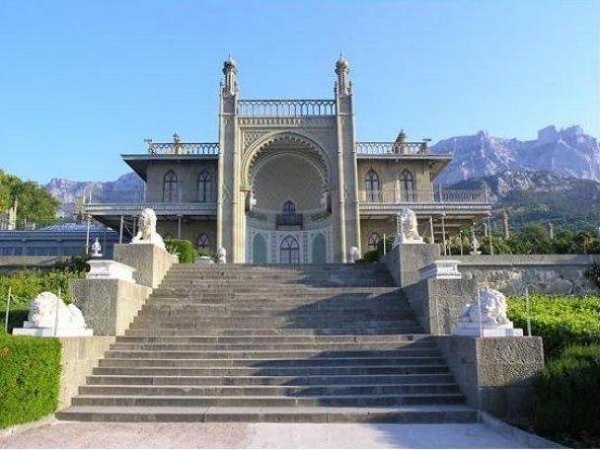 5)The Alupka (Vorontsov ) Palace surrounded with 200 years old park - one of the most beautiful places in the Crimea. The palace was constructed in the middle of XIX century in English Tudor style for the prominent Russian count, later prince M. S. Vorontsov. Other: - Entrance fees are extra - approximately $8 per person each museum in local currency. ** Due to OFAC sanctions against my country, 80% of the tour cost is payable in cash to me at the start of the tour. ToursByLocals will charge 20% of the tour cost at checkout.